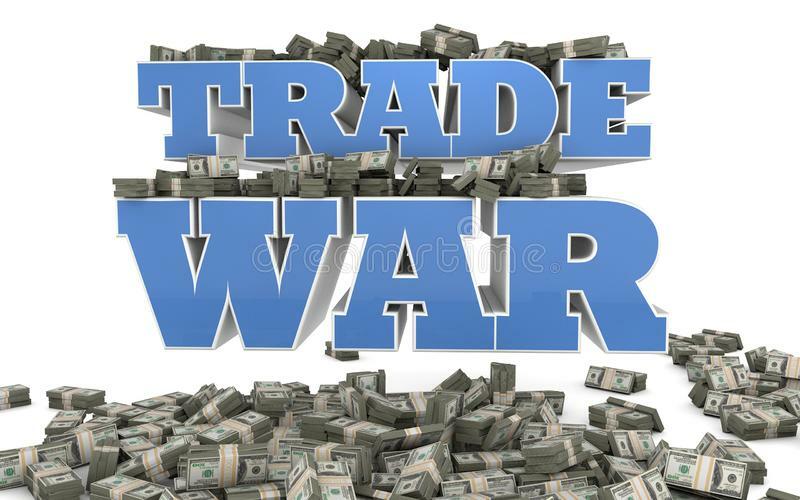 U.S. Trade Wars: Real or Perceived? With all of the talk about tariffs already in place with new ones being assessed against U.S. trade partners, do you know what this is really about? What are tariffs? How do they actually do? What are their results — positive or negative to us regular citizens in the U.S.? Today we answer these questions and give you facts. Just listen in! “Why reward bad behavior?” Senator John Cornyn (R-TX) said. “It’s a colossal waste of everybody’s time,” said Sen. John Thune (R-S.D.). These comments were made by Senators in the debate regarding the House approved budget deal that — once again — HAD to be passed to prevent another government shutdown. One would think these two Republican Senators were referencing all the senseless pork and unnecessary elements included in the bill under consideration. After all, this $500 Billion new law will increase the budget deficit by that exact amount. In other words, the U.S. will be forced to borrow every penny of that which means another half Trillion of debt piled on the already 20 Trillion we owe. But no, these two GOP leaders were NOT griping about the huge spending in the budget deal. They were attacking Senator Rand Paul (R-KY) who demanded time on the floor to actually discuss the potentially disastrous deficit spending bill that Republicans promised Americans they would NOT do IF Americans in the 2016 election gave the GOP the White House, the House of Representatives, AND the Senate. The American voters did just that. And members of Congress — at least the majority of the House and the majority of the Senate who are Republicans — caved and once again went back on their promise to Americans. Paul simply wanted to take time to discuss the bill and debate amendments necessary to edit this financial monstrosity under consideration at the time that is now law. Senators Cornyn and Thune were complaining about the time such discussions would waste. NO amendments were debated because none were allowed. After all, it is not acceptable for Americans to expect the well paid Congressionals who are supposed to vote the way their constituents voted in the past election. And those constituents were promised that Republicans — including Thune and Cornyn — were committed to reduce government spending and reverse the cycle of deficit spending that Democrats have consistently pushed on Americans over the last 8 years. Apparently Thune, Cornyn, and a majority of other Republicans feel their obligations to voting constituents does not include doing what they promised during their campaigns. Remember “Send us back to Washington and we’ll repeal Obamacare and slash the budget deficit?” Nothing but lip service. The debt limit and DACA — two ADDITIONAL hot topics from the 2016 campaign that carry with them promises given by campaigners that “should” bring the results of fulfilling those promises. Sadly, I doubt that is going to happen. I don’t want to scare you, but there is not $200 Trillion dollars in circulation in total on the planet Earth! Sadly for our children and grandchildren there is little good that can happen from this practice. America can keep borrowing money from the Chinese for only so long. When China calls the loans due, America has no way of paying. “What can those we owe do to us?” There is some difference in this situation than a normal similar situation in everyday America. When one defaults on a loan on a car or a mortgage, the bank just seizes the car or the house, sells it, and uses the sale proceeds to payoff the loan. China could indeed declare us in default and make demand for the money, or they could seize the asset pledged to get that loan. But what asset does the U.S. put up for collateral for all those Treasury Notes we give to the Chinese as collateral? The only “there” there to protect the Chinese is the good faith and trust of the United States of America. And how good is that as collateral today? Until Richard Nixon took the nation off the gold and silver backed currency system, U.S. creditors had something tangible that could be used as REAL collateral for our loans. 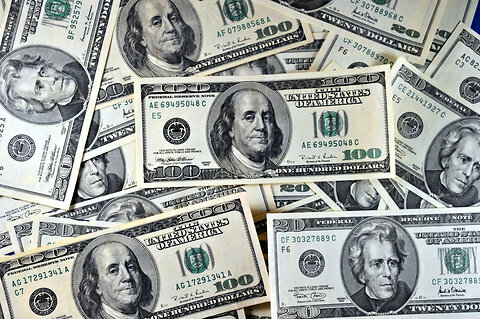 When that happened, the U.S. dollar became a “fiat currency” — a currency like almost every country in the World that relies on the broad and often non-existent assets that country possesses. Imagine a scenario in which every dollar bill you hold has a dollar worth of gold or silver sitting in a federal vault at Fort Knox. Wouldn’t that make you feel better about that $20 Trillion in debt we now owe along with those unfunded liabilities? But now when the nation runs out of money, someone simply fires up the printing press, prints more dollars and Treasury Notes, sells them for real money, and goes further and further in debt. But who pays those debts? American citizens, that’s who. It certainly is not our government. The only money it has is the money we pay in taxes. And of course you know we NEVER pay enough in taxes for the government’s needs — or so we are told. That’s how “deficit spending” happens. When the government needs $100 for Social Security, Medicare, foreign aid, rent, or anything at all, there’s not enough on deposit to pay it all. So they simply “create” more money and stick the American taxpayers with the obligation to repay it. Is there a way out of all this? Nope. The only way that would/could ever happen is if Congress would stop spending money it does not have — PERIOD! Though thousands of legislators have been elected through the years to do just that, once they get to Washington they cave to the political greed, corruption, and power and simply fall in line. Just like immigrants mean nothing more to Democrats than their votes, these “virgin” legislators are nothing more than a vote to be counted on by the Establishment D.C. swamp creatures. And when it is time to take a vote on spending money — even when everyone knows there is no money in the bank for the government to spend — all the Establishment House and Senate members pressure all those “virgins” necessary to get enough votes. I’ll make one of my famous projections here in closing: IF Congress does not immediately develop a process to begin cutting actual government spending and continue with such a process, within 5 years the American economy will crash. Imagine a scenario in which there is no food, no medicine, no transportation, no schools, no utilities at all — all because we have no money, no credit, no ability to make money or pay any person or entity to provide any of these services that we have taken for granted for so long. It’s happening today! THEY CANNOT EVEN GET TOILET PAPER TODAY IN VENEZUELA! Everything I stated in the sentence above is happening right now in Venezuela, even though their country is rich with oil. There is NO way to get oil out of the ground, processed, and to the marketplace. 5 years is our “grace period.” The rapidly growing giant in the East is gobbling up all that it can to become Earth’s lone Superpower: China. They have already successfully postured their economic structure — both internally and internationally — to be able to quickly un-tether themselves from any goods and services dependency on the U.S. Yes it is true that there is virtually no Middle Class in China and that the Communist Party still controls life there. But those at the top of the heap understand what it is to make the hard decisions necessary to survive. America’s leadership of 535 individuals cannot wait every week to leave their place of work — the Capitol — to take another taxpayer paid vacation. Nero fiddled while Rome burned. Congress took vacation while America drowned in debt Congress initiated. Rand Paul got it right: “As an expected vote approached in the Senate to pass the bill with a $500 Billion pricetag, Rand Paul began to throw up roadblocks, demanding a vote on his amendment that would demonstrate how the two-year budget deal breaks past pledges to rein in federal spending. GOP leaders refused to allow him to offer the amendment, arguing that if Paul got an amendment vote, many other senators might want one, too. Paul, in turn, refused to allow the vote to go forward, making use of Senate rules that allow individual senators to slow down proceedings that require the consent of all. This may be the Armageddon Nancy Pelosi warned us to watch out for. And this one ain’t the Democrats’ fault. 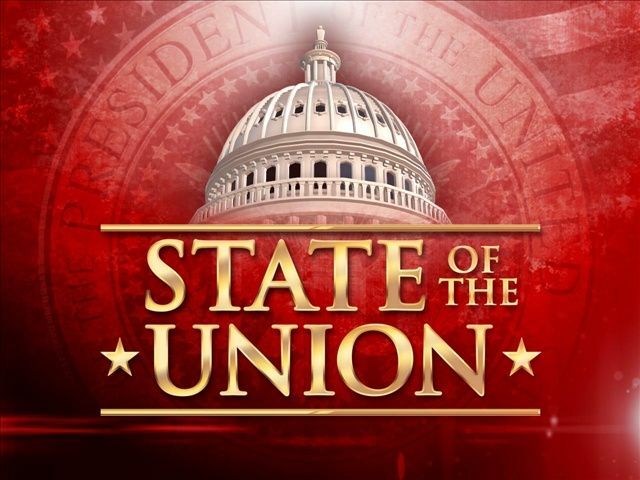 Expectations are high in anticipation of the content of President Trump’s first State of the Union Address. It is expected he will recount the positives from the first year of his presidency and detail some of his plans for 2018. Those certainly will begin with the immediate concern: Immigration. But many feel his SOTU 2018 proposals will lean heavily toward infrastructure improvements that are far beyond being a dire need. Meanwhile politicians on the Left and several on the Right have dug in their heels at President Trump’s projected project spending for DACA that includes $25 Billion for border security including the wall. Shortly dollar projections needed for infrastructure improvement will be revealed. Leaked details explain the plan’s funding will come from a balanced partnership between state and local investment assisted by federal funding. Two people briefed on it said it would likely recommend dividing $200 billion in federal funding over 10 years into four pools of funds. The administration is structuring the plan to encourage $1.35 trillion in state, local and private financing to build and repair the nation’s bridges, highways, waterworks and other infrastructure, one source said. Many Republicans want to use private-sector investment to finance infrastructure projects to avoid increasing the national debt. Democrats believe that government money is necessary to produce such a large package. Under the Trump plan being shaped, the largest share of the federal money – $100 billion – is expected to go toward cost-sharing projects with local governments, similar to grants. The goal would be to reduce the ratio of federal funding, which often now is 80 percent, by awarding funds only to projects that are able to provide more local funding or leverage private investment. $50 billion would be earmarked for rural projects. Those funds would help governors on projects like roads, broadband access and replacing aging lead pipes. Including a pool for rural infrastructure could also reduce concerns among some Republican senators who fear rural areas may be unable to attract private investments. Twenty-five billion dollars would go toward existing federal infrastructure loan programs that seek to spur private investment. The final $25 billion would be designated for so-called transformative projects – an effort being dubbed “American Spirit” projects. They could include high-speed trains or the Gateway Tunnel, the stalled proposal to build a new rail connection between New York City and New Jersey. The plan may not deliver any additional federal money than in years past. The proposal could take $200 billion from existing spending plans – although the administration has not yet committed to whether it would come from existing programs or whether the money would be found elsewhere. We will see and hear specific details of the President’s infrastructure program. It is hoped that Congressional leaders from both sides of the aisle can for the first time under President Trump find common ground for this desperately needed rebuilding of the nation’s infrastructure so poorly treated in previous administrations. President Obama famously promised massive infrastructure improvements in 2008-2009 as part of his $792 Billion stimulus program. That’s “Billion” with a “B.” In case you forgot, how was that $792 Billion spent under Obama? $196,600,000,000 — that’s $196.6 Billion — was budgeted and funded specifically for infrastructure programs listed above in the Obama Stimulus Program. But only $23.76 Billion was actually spent for infrastructure programs. Where did the rest go? Nobody’s talking. Sadly the story above is not an unusual one to come out of Washington D.C. Congress is infamous for wasting taxpayer money. 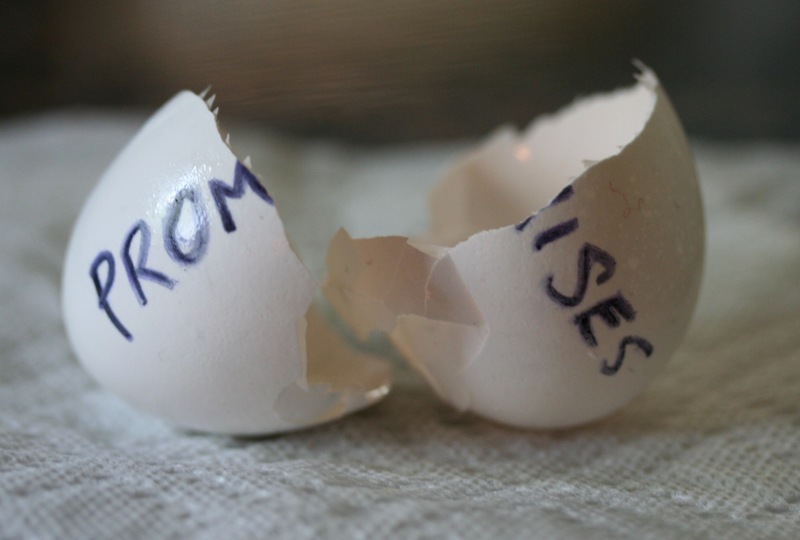 Politicians love to make promises for pet projects and pork programs to attract support from voters. President Obama was masterful at creating programs that voters longed for. He was much more proficient than many of predecessors at getting those projects funded. But sadly his stimulus program left much undone but with all the money spent — all at the expense of taxpayers. That was nothing new. So will President Trump be different? I’m pretty certain he will. His business past and his ability to plan and implement plans specifically for infrastructure projects gives him a significant advantage over most other politicians. In his private building projects he was famous for beating budgets and completing projects ahead of schedule: saving money and saving time. If his infrastructure plan looks anything like has been leaked, it will not only be different than most in the past, it if implemented and successful will probably initiate a new type of planning and budgeting. Though any economical success story initiated in D.C. should be welcomed by all, those on the Left will excoriate any such plan. Why? Because it will come from Donald Trump. Forget about any historical success or budgeting plan that makes sense. 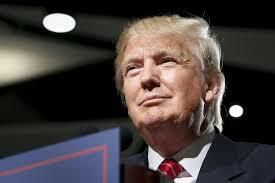 The only thing that matters to Dems is if it is something proposed by this President, they hate it. In the shadow of President Obama’s famous Stimulus boondoggle program sometimes called “The Obama Pork-ulus,” any infrastructure or other financial program that meets or beats a Congressional budget line-item projection should be championed. If this plan does work as it is rolled out, American politicians may rail against it. But taxpayers. basking in the first financial triumph of Donald Trump — Tax Reform — will welcome it. And headed into the mid-terms in which the Dems so desperately need to fend off the conservative tide creeping into D.C., another Trump win will create pandemonium on the Left. But one thing is certain: another financial success for this President will further increase his base of support among voters. If that happens, getting therapy appointments on E. Street in Washington will be impossible for a while. Democrats will have them all. Reducing taxes, rebates, deductions, and write-offs all mean one thing and one thing only: increases to the Budget deficit. Ever hear of “trickle-down economics?” That is the term given the bill used in the 80’s by President Reagan and Congress to implement massive tax cuts for Americans. The claims by the Reagan Administration were identical to claims we hear from the Trump Administration: tax cuts will mean more consumer spending which interprets into more revenue for companies, which interprets into corporate expansion, which interprets into employee and infrastructure investment, which interprets into more government revenue, etc. Democrats categorically deny the truth in that. And they cry that ANY tax relief for Americans must come from increased federal government borrowing — or deficit increase. That was the story in the Obama years. And they really worried about the deficit increase, too, right?Hmmmmm…… The deficit doubled in 8 years on their watch. And it started two months after Obama’s inauguration: infrastructure shovel-ready jobs and $800 Billion of American taxpayer money to seed it all. Those shovel-ready jobs, energy company startup loans and loan guarantees, and loans and guarantees to bunches of other companies and individuals handpicked for their “eligibility” by the Obama Administration results? All the money is gone…scant results….$10 Billion of new debt. And these are the folks who want to tell us about government financing. I think not. House Minority Leader Nancy Pelosi throwing cold water in the faces of 2 million Americans — a number growing daily — who over 100 U.S. companies so far have announced giving immediate bonuses to because of the new tax law. According to Pelosi: “Crumbs.” She makes no mention that a huge number of these companies in addition to the bonuses are giving pay raises to their rank and file employees — many raising their minimum wage starting point for new adds to $15/per hour. 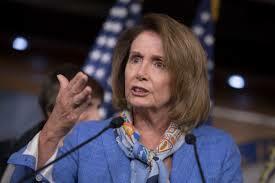 Let’s face it: in Pelosi’s world, a $1000 bonus and an extra $2,000 a year of “walking around” money is insignificant. But there are very few average Americans — you know those “Middle Class” Americans who Democrats claim they are in Congress specifically to guard against the wicked Conservatives — who feel such bonuses, pay raises, and tax reductions are insignificant. The real reason those on the Left are so angry about what is happening just two weeks into the life of the new tax law is that all those dollars taxpayers are about to see in pay raises, bonuses and tax decreases is money that was “theirs” last year! Of course that money was never really theirs. But they think it was…and they act like it is. The other is when voters awaken to the realization that NOT A SINGLE DEMOCRAT IN THE HOUSE OR SENATE VOTED FOR THE TAX CUTS. How can any politician spin that fact — even as good at spinning are Democrat leaders in the House and Senate — into being good for Americans? Democrats did not give them bonuses, pay raises, or tax cuts. Donald Trump and the G.O.P. did. That’s a hard pill for Democrats to swallow. Here’s the irony of all this: while the Left has painted corporations and the wealthy as the evildoers who make too much money on the backs of their employees. In addition to the conundrums listed above, they are facing this reality: although they screamed for companies to take responsibility for making too much money, (they point to Wall Street) these companies passing out bonuses and pay raises are NOT taking it from their corporate profits. THEY ARE KEEPING IT TO GIVE TO EMPLOYEES INSTEAD OF SENDING IT TO WASHINGTON D.C. AS TAXES! That’s the difference between Liberalism and Conservatism. For me: I’ll take Free Market Capitalism from Conservative ideals over Socialism from Liberals like Obama, Reid, Pelosi, Schumer and Company anytime. And as the shades go up and the Light of Truth shines, I’m pretty sure the majority of Americans will see and understand which guys are really wearing the white hats. Do the Tax Cuts Help You? If you listen to the Liberal Left (including Nancy Pelosi who termed the new tax law as “Armageddon”) you probably believe that only rich Americans will see their taxes cut. Not true. While it is true that not every American will see their taxes reduced, almost ALL Americans will. The Left in their all-consuming quest to denigrate every potential legislative win for this Administration have already shown how rabid they are about disproving the truths in the new tax law. So why don’t we expose THEIR lies with the TRUTH. That’s a novel approach, right? Do the American Middle Class receive a tax cut under the new tax law or as Pelosi and othe liberals claim see their tax burden rise? The Pew Research Center — a truly non-partisan group — state that 71% of Americans fall in the “Middle Class” with an income range of $24,000 to $73,000 for a single person. Keep those numbers in mind when examining the numbers below. The estimated federal tax savings are for a single, childless taxpayer who owns a house valued at three times their salary. Statistics verified by BUSINESS INSIDER. Dems cannot afford to allow Americans to believe President Trump and the GOP are doing anything to benefit Americans. Anything Republicans do must always be perceived to be for the wealthy at the expense of the American Middle Class. Why? Democrats have convinced (through their constant daily anti-conservative rhetoric) middle class Americans, minorities and immigrants that Democrats are the only ones who care for them. The exact opposite of that is true. But for Democrats to ever succeed politically they MUST control minority votes. And in the past they have mastered doing so. Example: compare the income class factual tax information above for each income range of the American middle class. There is no political posturing in those numbers. Yet Democrat leaders shout from the housetops of the theft of middle class income through tax breaks for the wealthy under the new tax law. I urge you to copy and paste the link to this post into a group email to your friends and associates. They too are smart enough to understand the truth just as you do, right? Give them the chance! Paste the link in a Post on your Facebook page. We need to let everyone we know two things about this: The Democrats from top to bottom are lying about the tax law; and beginning in February all middle class Americans will see their take-home pay increase because of the law. How long ago was the last paycheck take-home increase you saw? 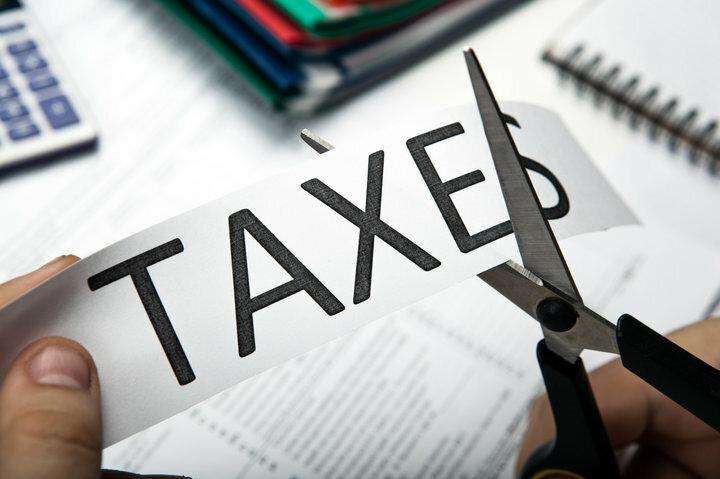 One more thing to hash out in your mind: these cuts (if Congress will leave them alone and make them permanent) will result in government tax revenue growth beyond the amount needed to cover the cost of these tax cuts and to a level that will justify MORE tax relief. How? More of what we are witnessing today: confidence by individuals and companies sufficient for them to spend more because they have more, increase hiring, make new infrastructure investment, expansion to new locations and markets, and give workers salary increases. 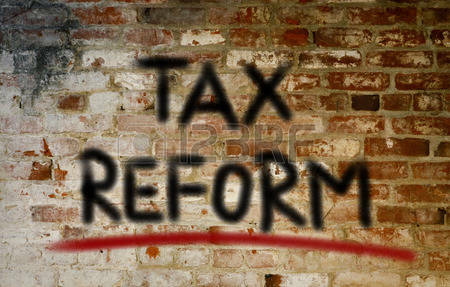 First time in a long time it looks like we have real tax reform….or do we? Increase taxes on the Middle Class. False. The standard deduction — used by around two-thirds of households — would be nearly doubled to $12,000 for individuals and $24,000 for married couples. The final package would also double the basic per-child tax credit for families making up to $400,000 a year from $1,000 to $2,000. Take Health Insurance away from 15 million Americans. False. The repeal of the mandate could result in an estimated 15 million more people without insurance within 10 years, but not because health insurance will be “TAKEN” from them, but because they don’t need or want the insurance and choose to not have it. The penalty they have paid for not having insurance will be money that goes directly back into their pockets under the GOP tax reform bill. That may potentially lead to federal savings of $338 billion over 10 years. Will cut Medicare and Medicaid. False. There is NO mention of either Medicare or Medicaid funding changes in the bill. The same block grants from the federal government to states for Medicaid will remain in place. Medicare funding by payroll deductions that has been in place for decades will continue. The reason for this claim by Democrats is the same reason they always raise Medicare and Medicaid (and Social Security) cuts when Republicans promote tax cuts — to scare Americans into believing the Government is more capable of taking care of Americans than Americans themselves, and should therefore surrender hard-earned cash as taxes to the government to fund these and other programs. Will explode the deficit. False. It should not shock me about the deficit cries from the Left, but it always does. Why? 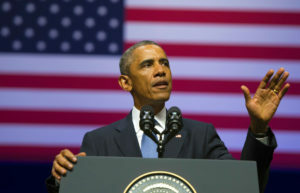 If Democrats were concerned about the ballooning federal deficit, they would not have allowed the previous President in his 8 years in office to double the debt from massive deficits — actually at his departure from the White House eclipsing the total debt amassed by every American president COMBINED since George Washington! Experts do say the deficit will naturally go up for a while, but that will be a temporary thing. The reason? If the U.S. economy continues its climb as it has since Obama’s departure, the natural increase in revenue to the government will more than take care of any deficit. And forecasts based on the financial sector performances in the last year are that government revenue will far surpass the cost of tax reductions. Will make the rich get richer. False. Let’s be honest: the wealthiest Americans under this plan will receive a slight tax decrease — from 39% to 37%. But think about that for a moment. Who deserves tax cuts — just the middle class? Those wealthiest 30% of Americans pay more than 70% of ALL the taxes paid. Should they not get a break, too? And why are the wealthy better off than others? Most wealthy people build their own wealth by starting businesses and building their value over years. In doing so they EMPLOY PEOPLE WHO ENJOY THE FRUITS OF THOSE BUSINESSES AT THE SAME TIME THE WEALTHY DO. There are several things that are really made apparent to me in all the hoopla about this tax reform push by President Trump and the GOP. First, why would any member of Congress oppose tax cuts? Think about this: whose money is it? Not theirs. In fact through the IRS, hard working Americans watch as a large portion of their income is actually confiscated by the government. Taxpayers do not voluntarily write checks to Uncle Sam. 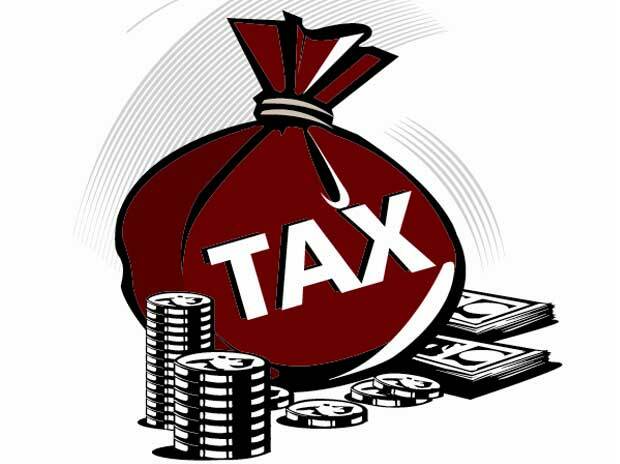 Taxes are deducted from paychecks or paid by employers and individuals because they are forced to by law. IT’S OUR MONEY…NOT THEIRS! When Democrats and Republicans alike scream about increasing deficits, they do so to mask what is really going on. They deflect from the facts about deficits. Certainly you know that budget deficits are a product of the government spending more money than what it takes in. There are two ways to increase the bottom line of companies, your household, AND the federal government. The first is what we are watching right now in 2017: the increase of tax revenue, corporate profits, and the income for many companies and individuals. Increasing money coming in is the first way to improve the bottom line. The second is to cut spending. Any time cutting federal spending is mentioned, Democrats immediately start scaring Americans by saying Republicans because they want spending cuts will cut Medicare and Medicaid, Social Security, Welfare, Disability, insurance for children (CHIPS), etc. They never talk about the one real thing that needs to happen immediately and will balance the budget more effectively and quicker than raising taxes, which is what all Democrats want and tell Americans needs to happen: cutting “GOVERNMENT” spending. How could they do that without cutting services for Americans? Let’s look. $437.6 billion dollars of identified wasted spending by Congress in 2016. This tax reform plan is a 10 year plan. If Congress would follow through on this plan, and while doing so, simply stop the stupid spending every year that always total $400 billion or more, in that 10 year period, the United States bottom line would increase almost $5 trillion dollars! One other note: I am sick and tired of hearing those on the Left complain about Wall Street banks and investment houses making all these major profits in the stock market this year. Yes, those Wall Street folks are making money, but they don’t own all that stock that is being bought and sold making billions of dollars in doing so. It’s the stock market! That means that stockholders are receiving those profits. Who are those stockholders? Insurance companies investing premiums, 401k’s, Simple IRA’s, Pension funds, Employee retirement funds, and mutual funds. Who owns those? AMERICANS LIKE YOU AND ME! Almost all those stock market profits flow through to you and me. And Democrats don’t like that. Why? Because it’s money they do not control! It takes more than the three branches of the federal government to make America work and prosper. It takes American people who work hard, pay their fair share in taxes to take care of America’s needs and the needs of those who are unable to take care of themselves. And don’t forget: members of those three branches of government all work for us! It’s that time of year when Congress gets to work to create a federal budget. With a new President, all eyes will be watching to see how the Legislature responds to the proposed budget presented by President Trump. The fur is already flying from the Left, so this week as the House gets down to crafting a budget it appears they will see different strategy for spending Americans’ tax dollars than has been normal in the past. Almost all Americans watch in disbelief every year as the arguments escalate during the budget process, especially now that our federal debt is approaching $20 trillion, not counting unfunded liability, which many place as high as $75 trillion. (that is comprised of Medicare, Social Security, government employee retirement benefits, etc.) We all ask, “Why can’t the government treat their operating budget the same way we treat ours?” Great question….never a good answer. It is mystifying how any family, business, or government can possibly look favorably on a budget that always spends more money than its total income, and does so purposely. Yet every year Americans watch it happen. Some economists have somehow found a way to endorse an annual budget deficit. But all I can think about is how difficult deciding who to pay and who not to pay each month can be. I guess the fact that Congress does not have to worry about running out of money allows them to sleep at night. When the Treasury runs dry and they need some more money, they simply borrow some more. After all, it’s no big deal to them — you and I will pay it back….along with our children, grandchildren, and great grandchildren. President Trump’s budget proposal when released last week was met with loud boos — certainly from Democrats but there were some Republicans who chimed in. Why? Spending government money has for a long time been the holy grail of federal public service. The mantra is, “get elected, go to Washington, find money to spend whether we need to spend it or not.” Government budget cuts are actually unheard of, except “fake cuts.” “Fake cuts?” You bet. Haven’t you already heard that President Trump has “cut the budget” for 2017? First, a President cannot cut or increase a budget. Congress determines the budget. The President simply offers a budget. Yes, there are actual budget cuts in his proposal. But some of his suggested cuts are not cuts at all. In fact many are not. How is that so? Because of magical budgeting that our government has done for many years: Baseline Budgeting. Here’s how Baseline Budgeting works: last year’s budget items are the starting point. But for next year, each item has an automatic INCREASE built in. The baseline budgeting increase is a formula based on this: the last year’s amount for that particular item is multiplied by the annual inflation rate times that year’s U.S. population growth rate. Let’s say the 2016 budget amount was $1.00. For 2017, that same item’s budget amount would be $1.00 x 1.7% (inflation rate) x .73% (population increase amount), or about $1.01. That doesn’t seem to be much of an increase, but just remember in normal financial years, the U.S. inflation rate runs 3-6%. The point is in the budget, there is a built in increase for each budget item. So when cries come complaining about budget cuts, they almost always are untrue, because the complaint is actually about a cut in the automatic INCREASE and not an actual cut from last year’s amount. I will not accuse government officials of trying to hide money from us, but honestly that is the only explanation I have for using baseline budgeting. Why not just use actual numbers unless they want to keep spending increases quiet? In the budget noise every year have you ever heard anyone talking about spending less than our income so we can pay down the $20 trillion debt? Me either. One encouragement to me having Donald Trump in the White House is that as a businessman, he understands real budgeting and real cash flow. He knows firsthand that you cannot borrow your way to financial success, and doing so will literally bankrupt you. That hold trues for the U.S. Our debt is not nearly as desirable to debt holders as in previous years. Don’t be surprised as we begin to see the desire for U.S. Treasury bonds gets less and less. The Chinese hold most of our debt. And if/when they feel we will be unable to honor that debt repayment, they’ll head for the hills. Then what happens: Bankruptcy. The Trump budget proposal makes some significant and serious cuts in various government departments and programs. Without questions those cuts will affect many people. And that is unfortunate. While all the arguments fly on Capitol Hill in the next weeks remember that we need to hold our national politicians accountable for spending. Real budgeting is necessary to get real numbers to enable those officials to make good decisions. Cuts must happen in D.C. just like they must happen at your house and mine. Can you see a way to spend about 20% more than you make every year? The only way that could be sustainable is if there is a favorite uncle in your life that plugs that 20% hole for you. There aren’t a lot of those uncles around. And even though the U.S. has an uncle — “Uncle Sam” — all his money comes from your pockets and mine. Somebody is going to have to pull in the horns and bite some bullets and stop spending. And it’s got to start this year.